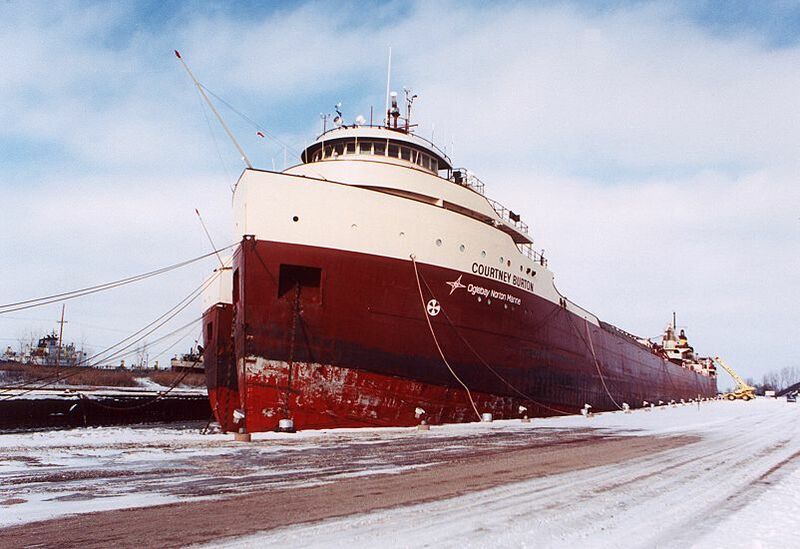 Badger 2003 winter lay-up at Ludington Michigan. 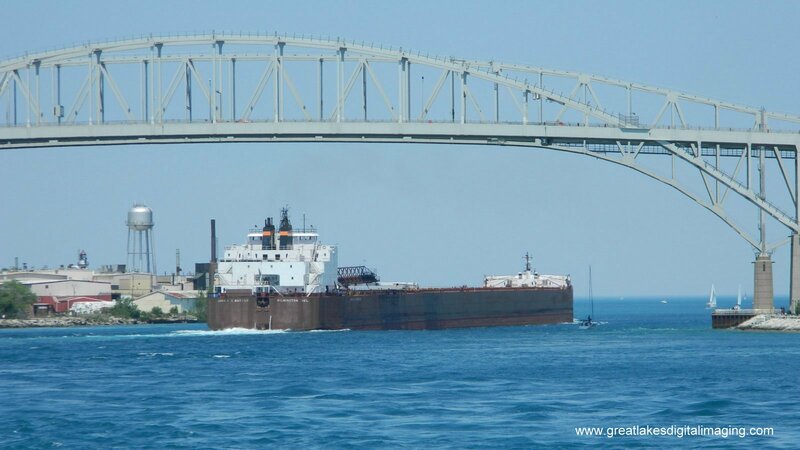 Badger entering the harbor at Manitowac Wi. 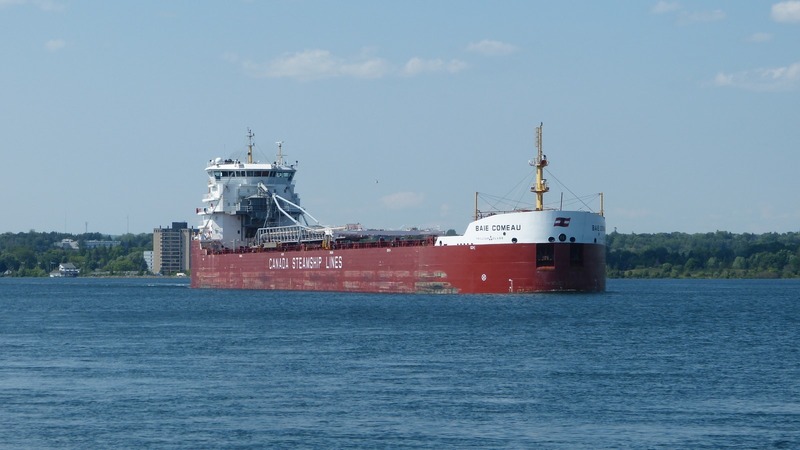 Baie Comeau downbound at Mission Point, Sault Ste. 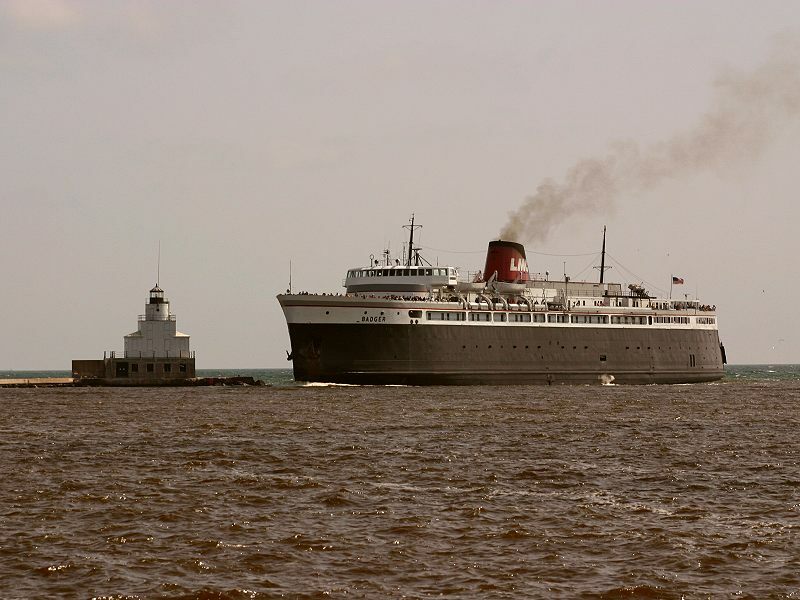 marie Michigan. 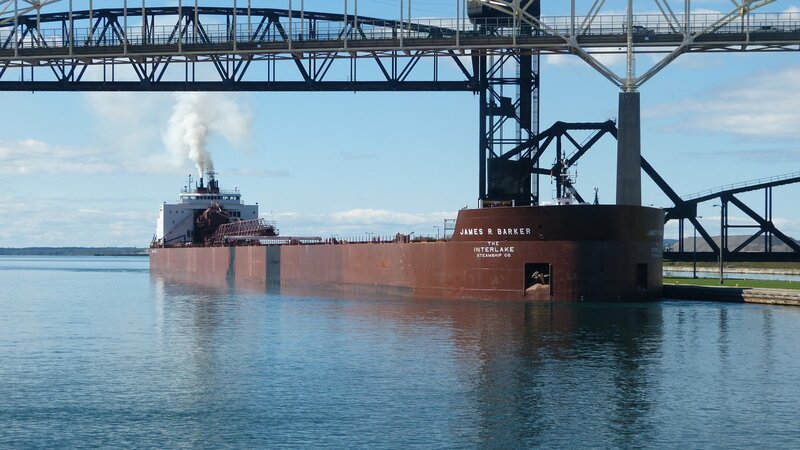 Barker James R. under the Bluewater Bridge at Port Huron. 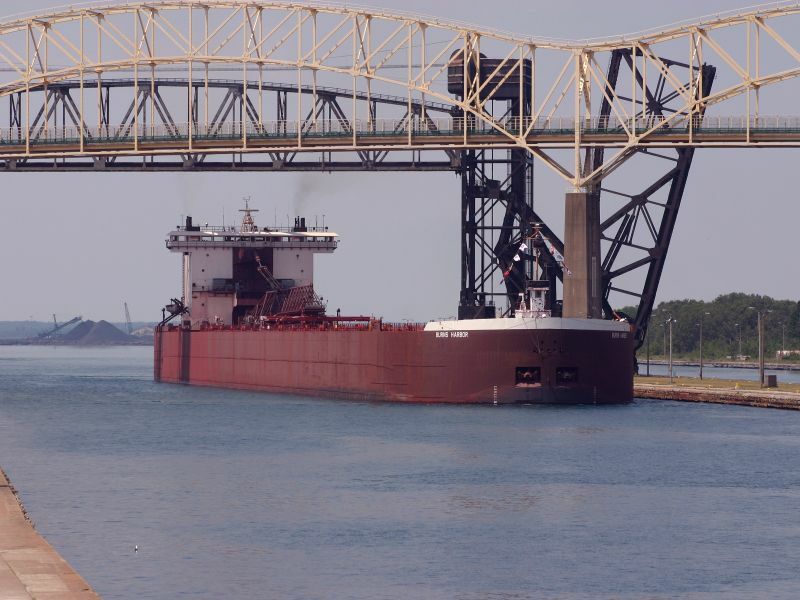 Barker James R. under the International Bridge, entering the Soo Locks. 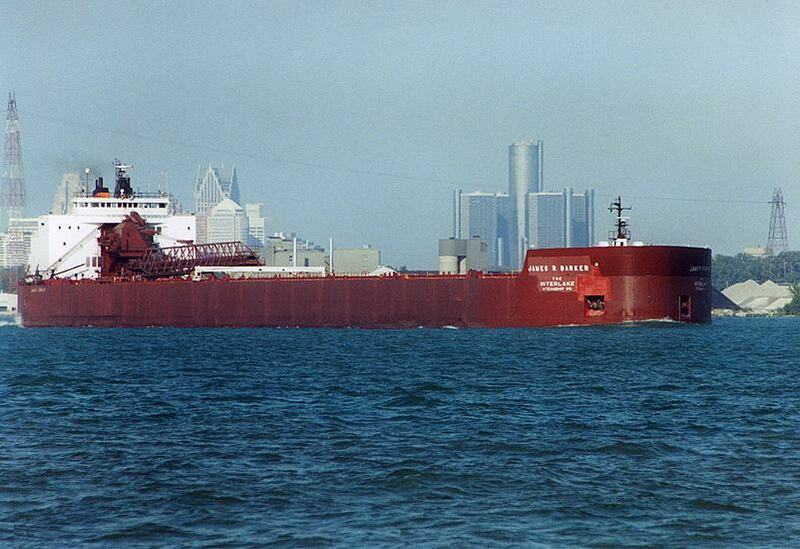 Barker James R. downbound in the Detroit River off Zug Island. 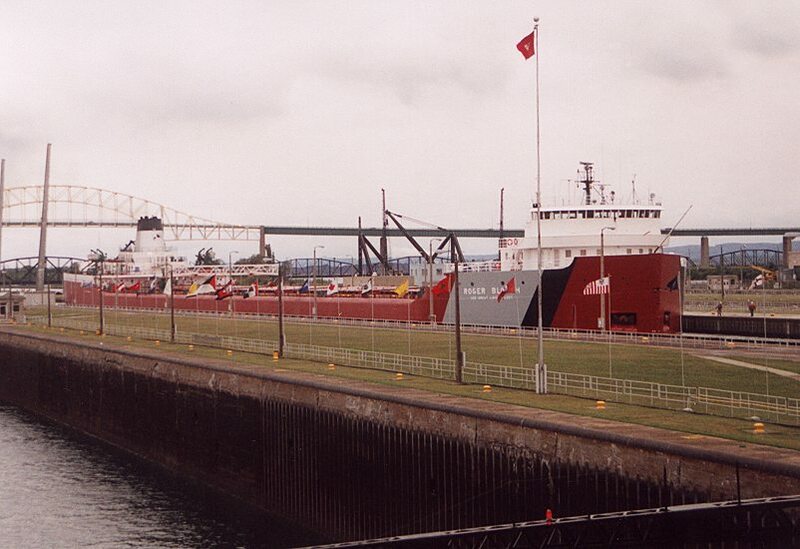 Barker James R. upbound entering the locks at Sault Ste. Marie. 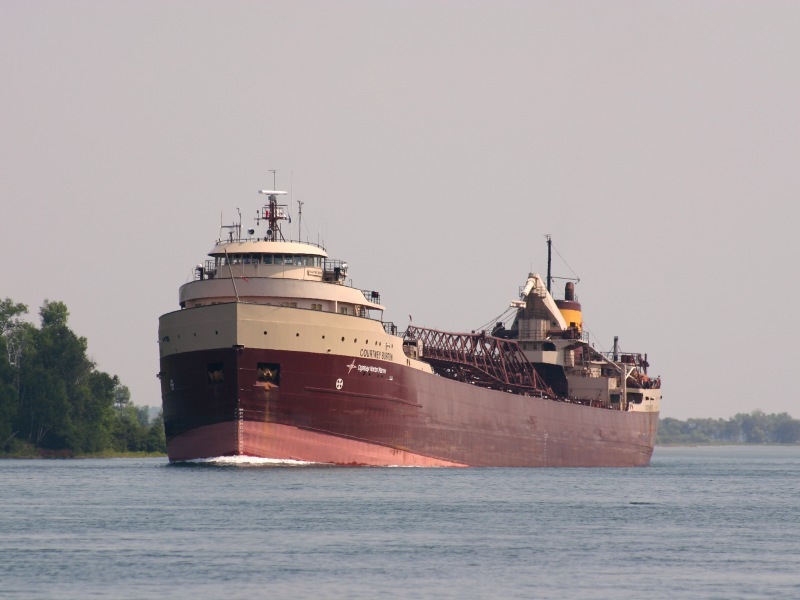 Barker James R. downbound at Mission Point in the St. Marys River. 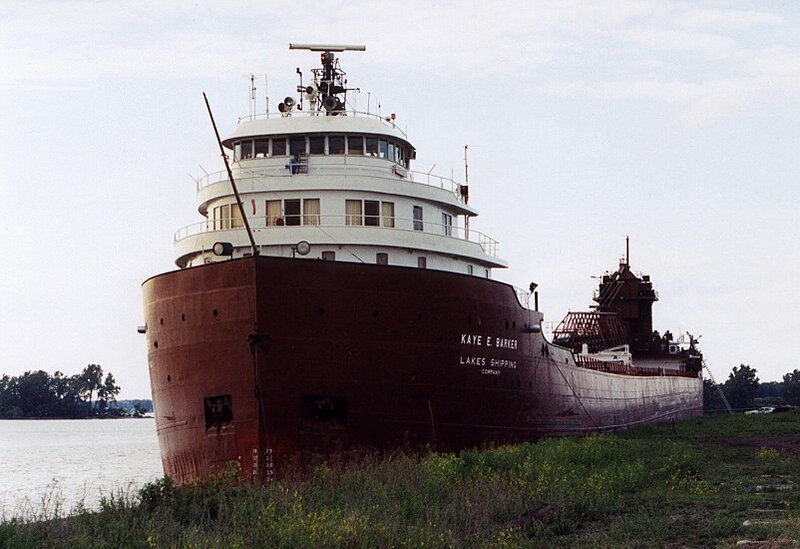 Barker Kaye E. mid summer lay-up at Toledo 2001. 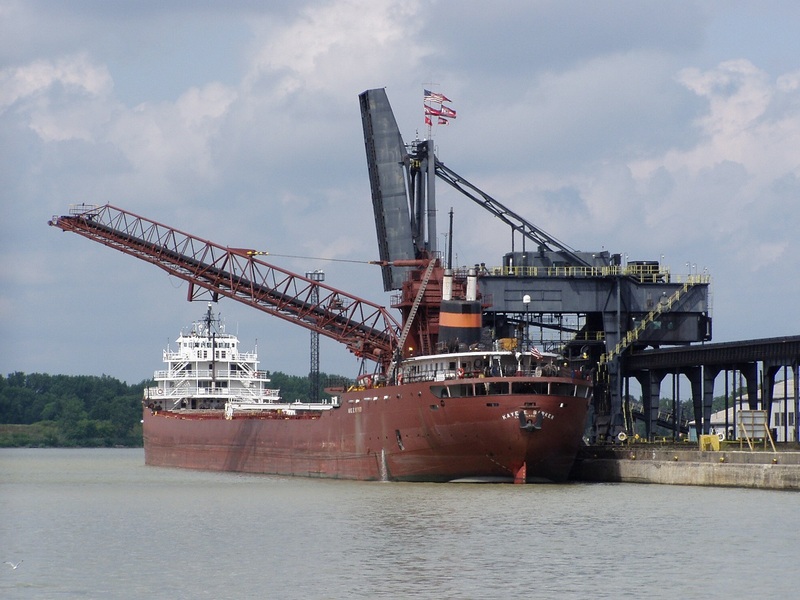 Barker Kaye E. finished loading coal at the CSX docks, Toledo. 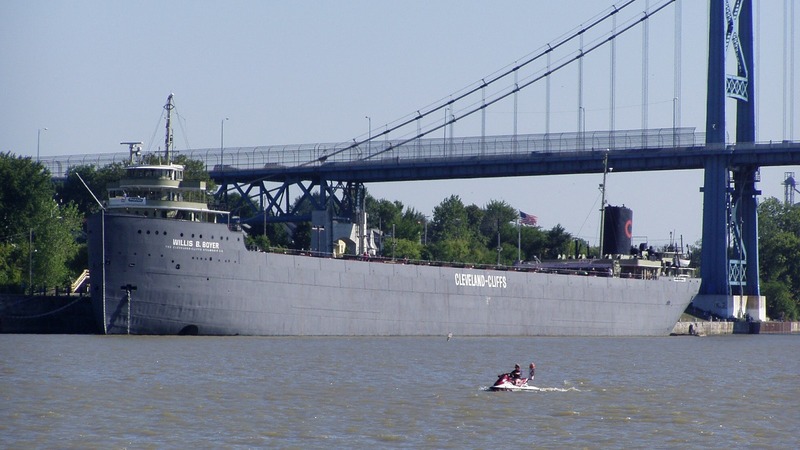 Beeghly Charles M. downbound on upper Lake St. Clair. 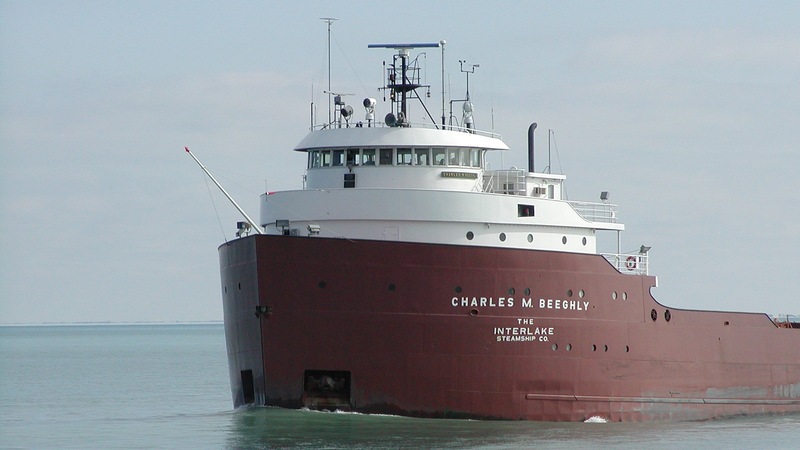 Beeghly Charles M. downbound on upper Lake St. Clair, another view. 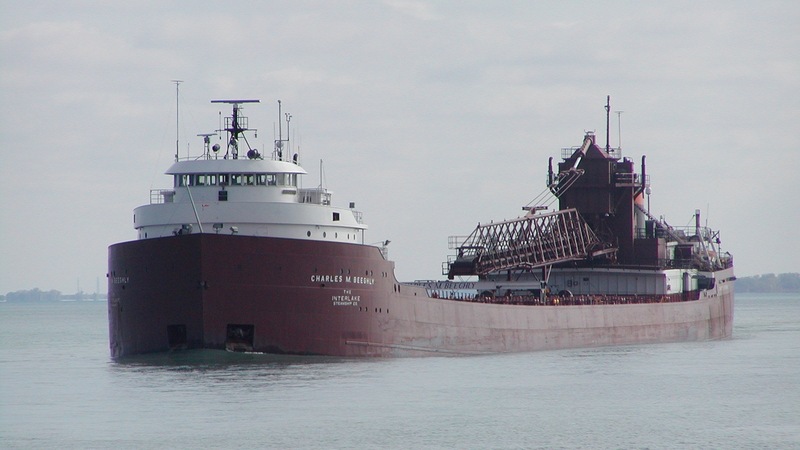 Beeghly Charles M. entering the harbor at Two Harbors Mn. 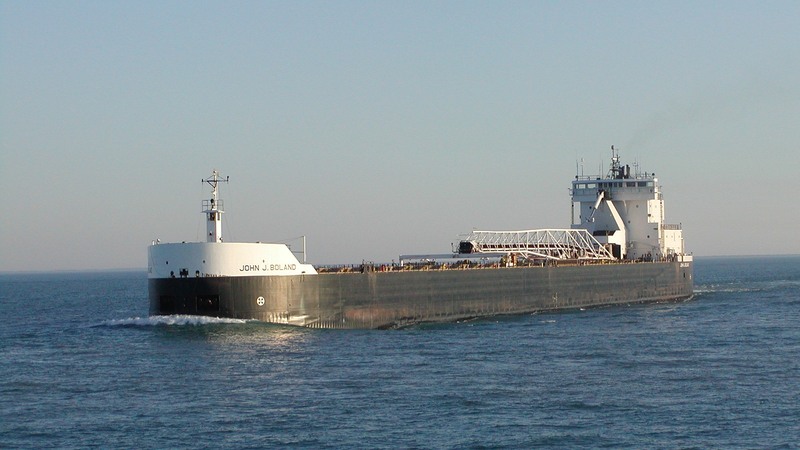 to load taconite. 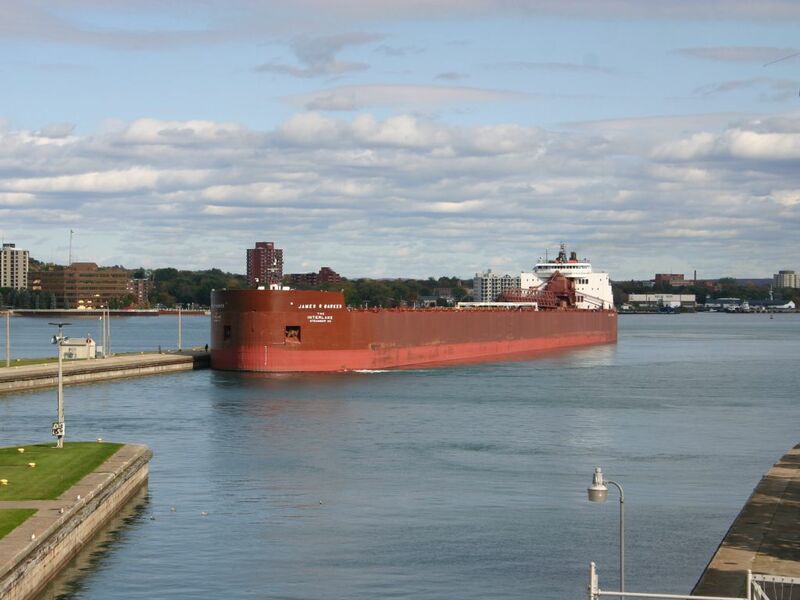 Block Joseph L. downbound entering the Soo Locks. 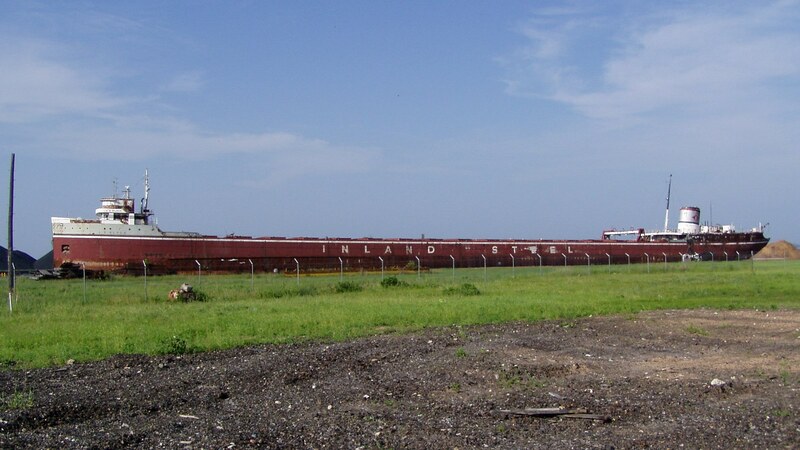 Block L.E. 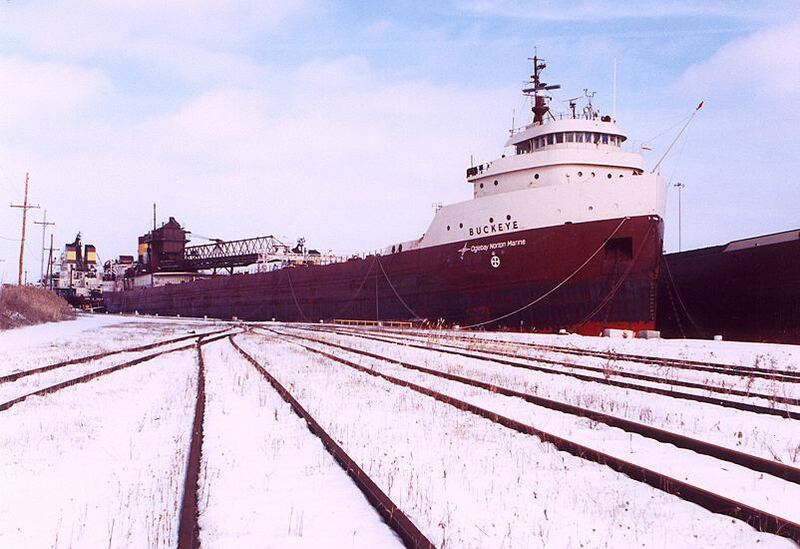 at Escanaba prior to scrapping. 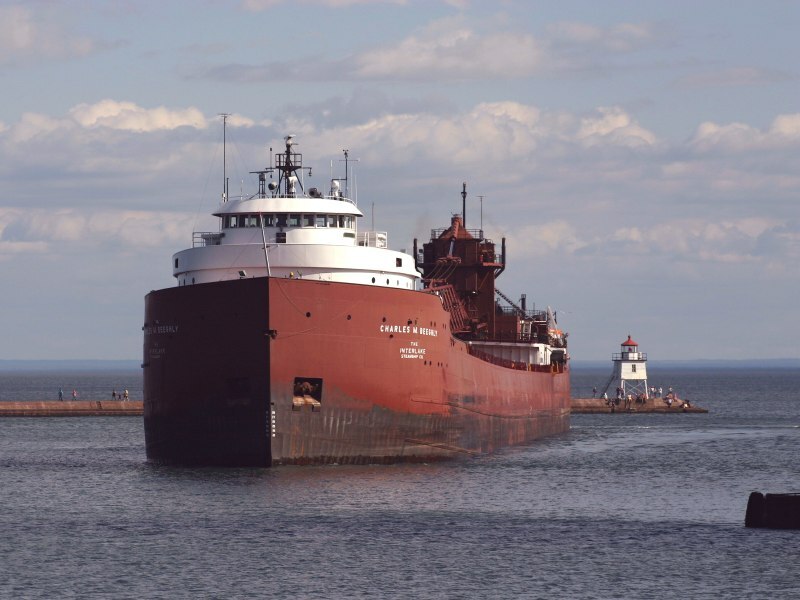 Blough Roger downbound in the Poe lock at the Soo. 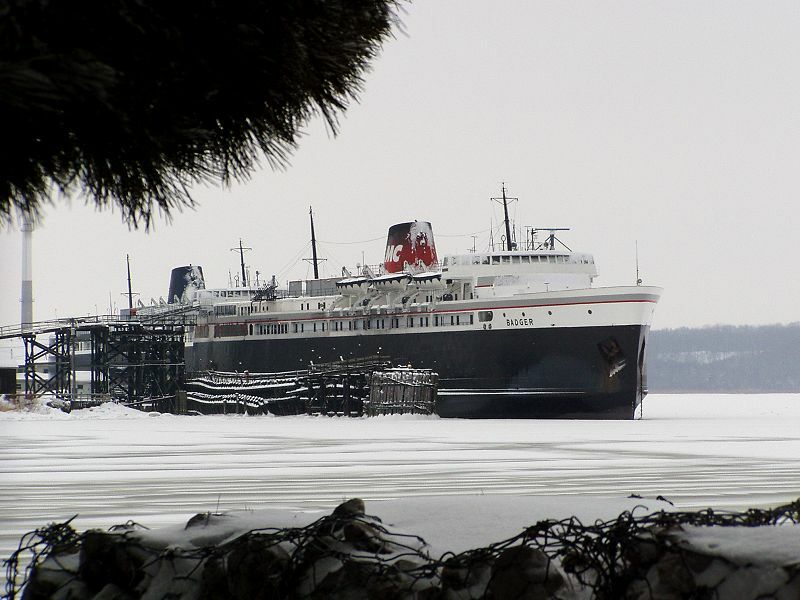 Boland John J. upbound in Lake St. Clair. 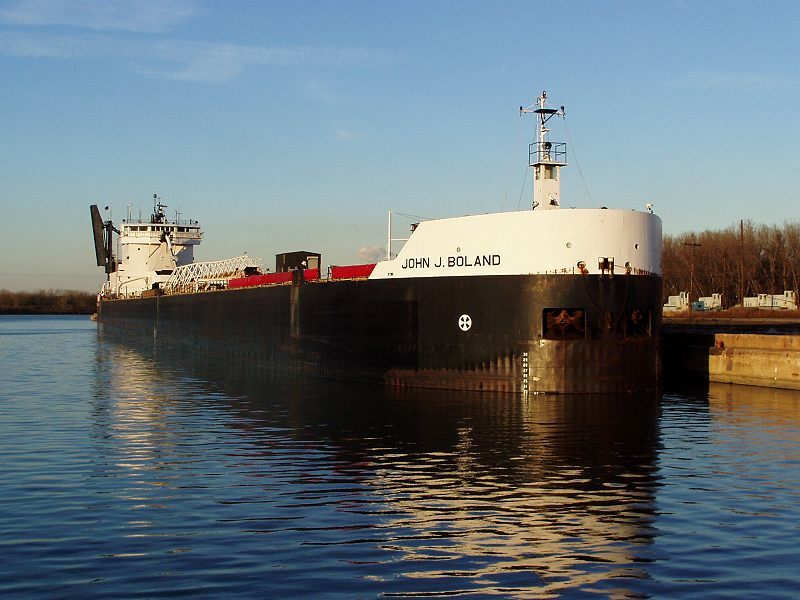 Boland John J. at Toledo for temporary repairs. 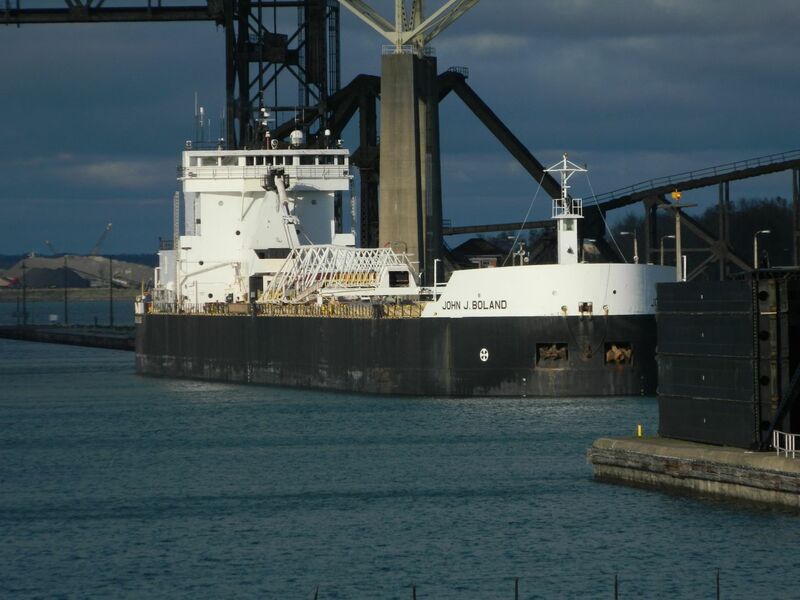 Boland John J. downbound waiting to enter the Soo Locks. 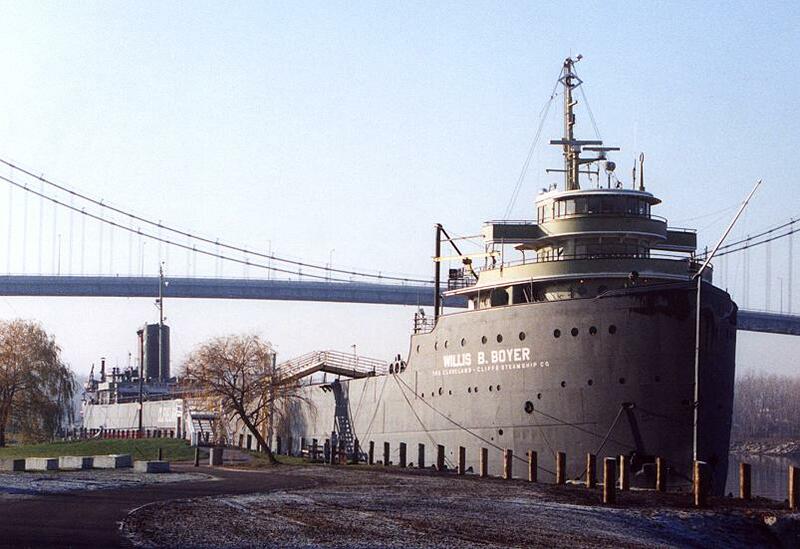 Boyer Willis B. museum ship on the Maumee River, Toledo Ohio. 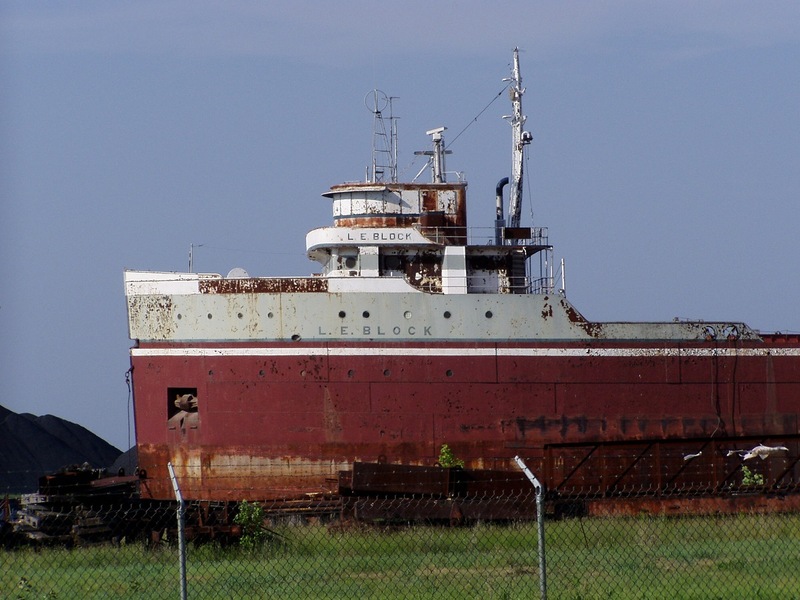 Boyer Willis B. museum ship on the Maumee River, Toledo Ohio, another view. 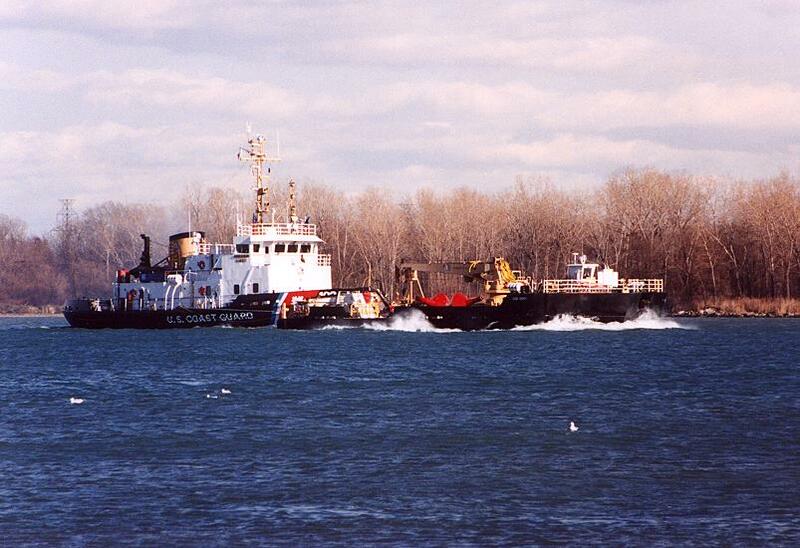 Bristol Bay U. S. Coast Guard buoy tender with barge, at work in the Detroit River. 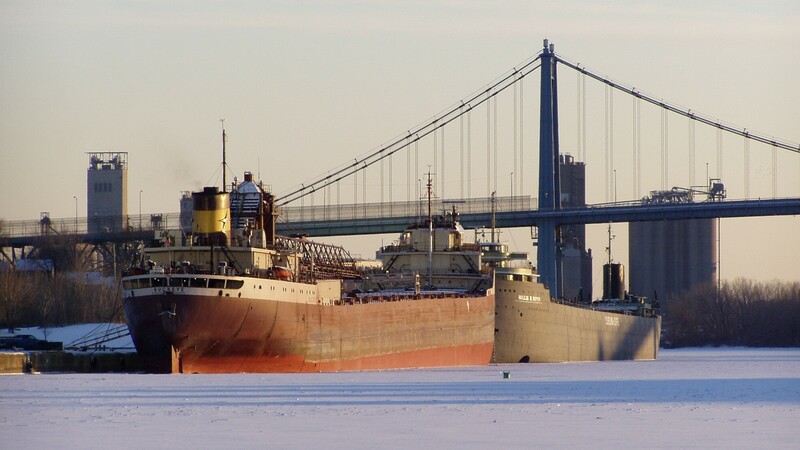 Buckeye at 2000-2001 winter lay-up, Toledo Ohio. 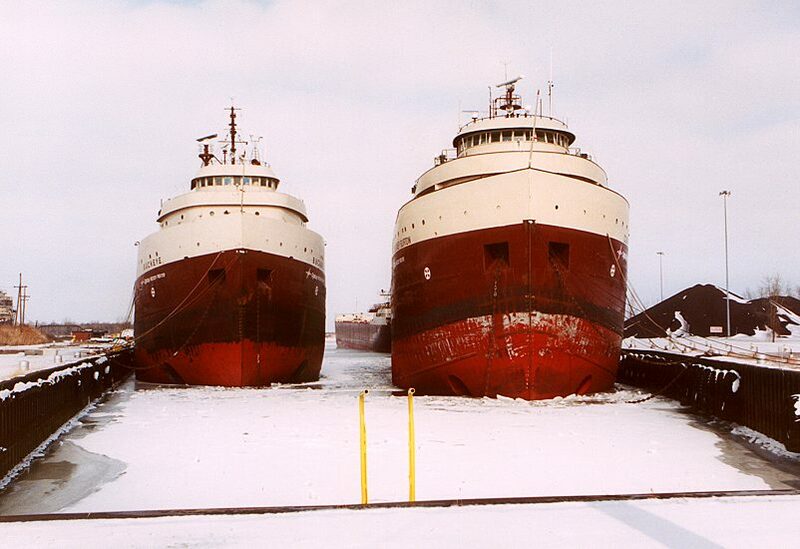 Buckeye winter lay-up next to the Boyer, Toledo. Buckeye and Courtney Burton at 2000-2001 winter lay-up at Toledo. 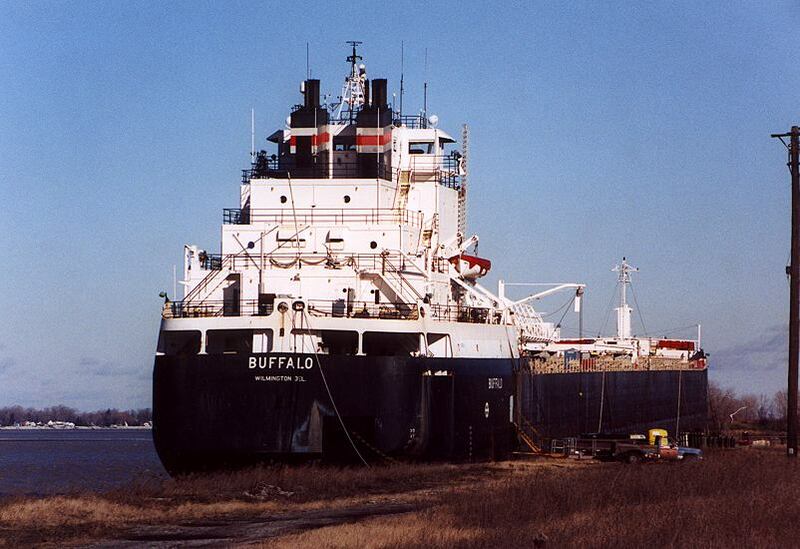 Buffalo 2001-2002 winter lay-up at Toledo. 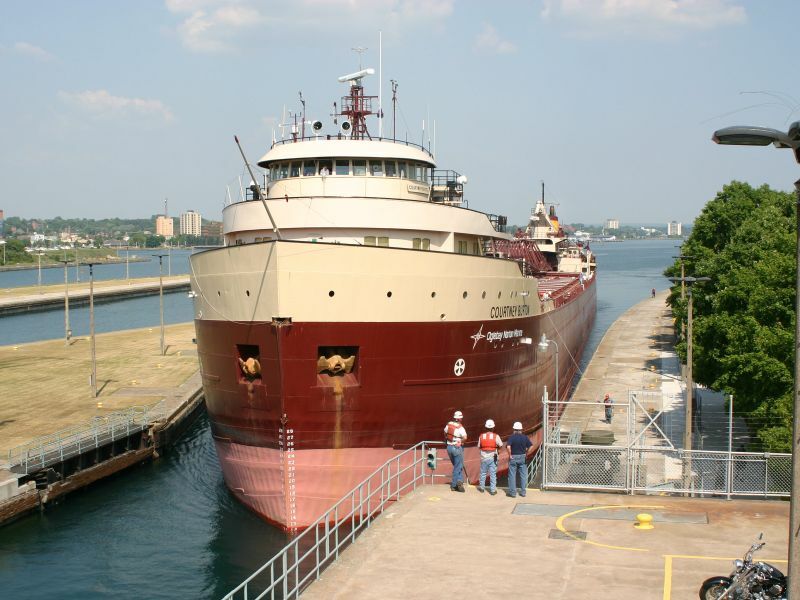 Burns Harbor above the Soo Locks waiting to enter the Poe Lock. 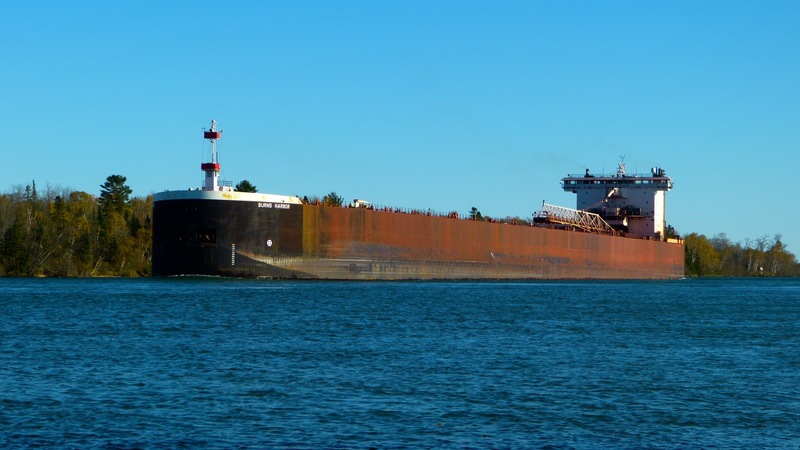 Burns Harbor upbound at Mission Point Sault Ste.Marie. 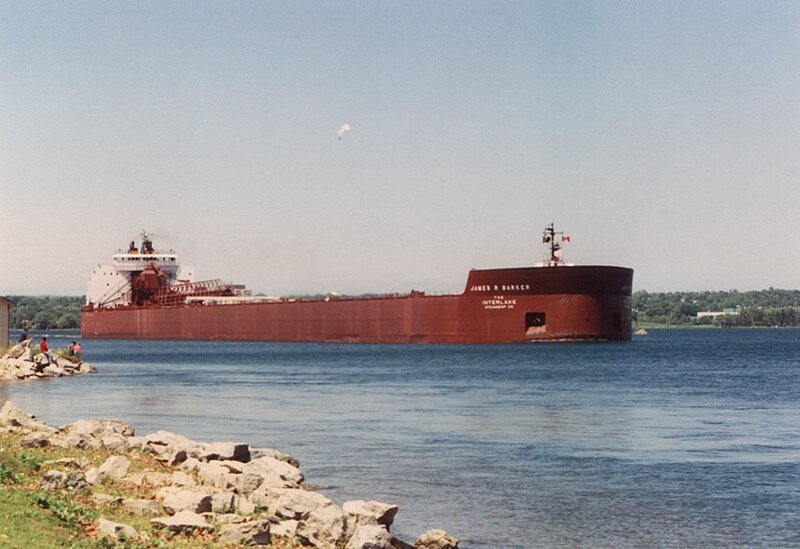 Burton Courtney 2000-2001 winter lay-up at Toledo. 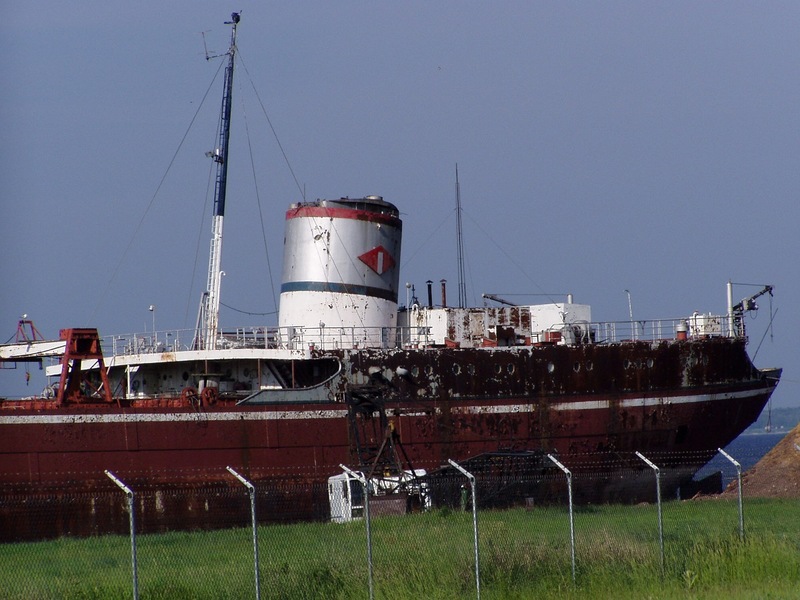 Burton Courtney upbound on the St marys River at Mission Point. 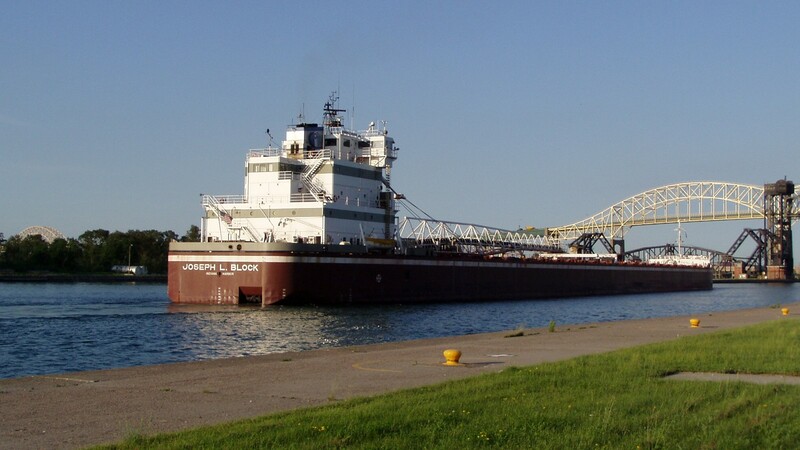 Burton Courtney entering the MacArthur Lock at the Soo.